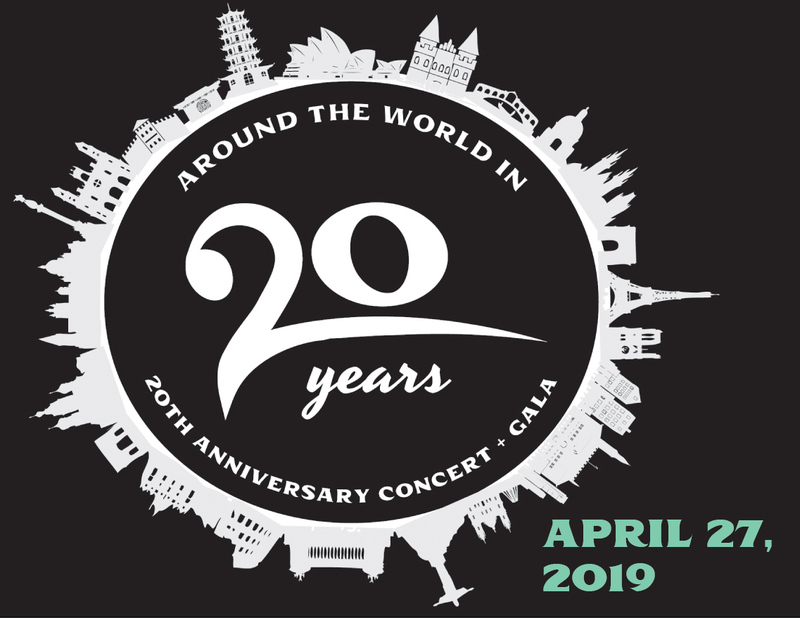 Our 2018-2019 season will crescendo next spring with our 20th Anniversary Concert and Gala at Mills College in Oakland. The theme for the event is Around the World in Twenty Years and will feature music performed by PBA across the globe. The event will be held on Saturday, April 27, and will begin with a pre-concert reception and silent auction. The concert will be a retrospective of classical and world music, as well as American spirituals, performed by our elite SATB choir and joined by PBA alumni. This repertoire has been heard in various locations throughout the world, now shared here with our Bay Area audience. Crowning the evening of April 27th will be our 20th Anniversary Gala, a dinner cruise around the Bay featuring notable guests from the Bay Area music community. Mingle and dine with our staff and guests at this fundraising event; hear from PBA alumni and honorees about the impact PBA has had on our choristers and our community.